I can't get enough of Whitney Cummings ever since she came back to stand-up, which is why getting a long set from her on 3 for 30 was great! I was never a Whitney hater, but when I first came around, she was part of this generation of women comedians who had broken down that raunch barrier, then spawned a new generation of hacky imitators. So I was never like "wow, this is amazing!" because it had become so commonplace. I call it the Casablanca phenomenon. If you've already seen a dozen later films that derived from or spoofed it, it doesn't seem so amazing by the time you check it out. But even despite the obnoxiously smothering marketing campaign ahead of Whitney (the sitcom), it was hard not to root for her. Here was a successful woman, helming two female-centric comedies and then a great talk show that should have gotten more episodes than Whitney and 2 Broke Girls combined and she'd sell out the 300+ seat Main Room every time she had a minute to stop by. 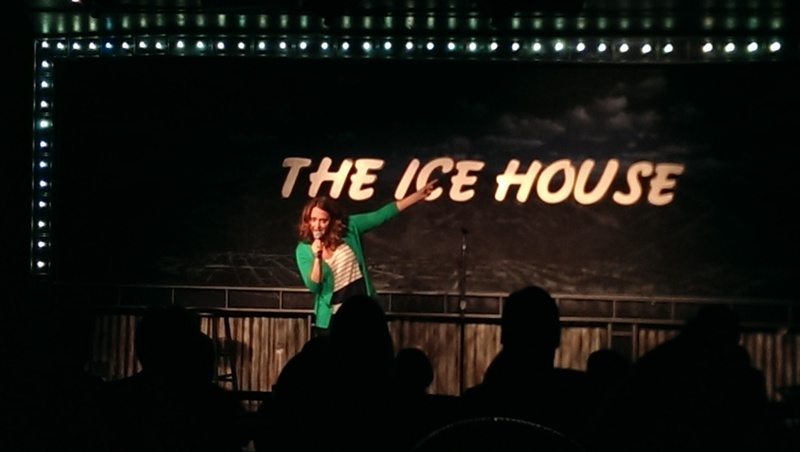 Now she's back doing stand-up for real, which she addresses at the top of each set ("Don't come up to me after and say you watched the show. I know you didn't or I wouldn't be here.") and it's really good. It's going to sound like standard middle-of-the-road fare when I just list the premises - how much effort women have to put into their appearances, the different ways we all interpret "I love you", what drives women to act "crazy" - but the most successful comedy is widely relateable in premise, but unique and specific in interpretation and delivery, and Whitney is nailing that right now. I was hooked the first time I saw her yelling "The thing we're taught from a young age is to never poke pencils in your eye and now I am supposed to do that every day! In traffic!" There's plenty of other gems I could trot out, but basically, it's like "Jeez, thank you for taking a bunch of things that are negative stereotypes and sad truths about women, men and relationships and making them funny enough for us to all talk and laugh about." Okay, I've done so much gushing about Whitney, I don't have much time to gush about my #1 girl crush, Sarah Tiana, host Ryan Mirvis or 3 for 30's mastermind Jayson Thibault. All great. Over the past couple of years, Sarah has honed down her tough but ladylike southern gal persona and become so much more comfortable and physical on stage, it's just fun to watch her every single time. 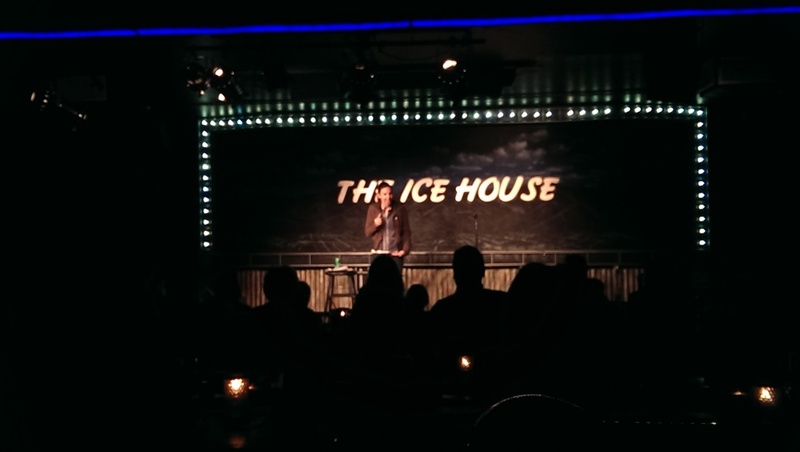 And Teeb's set was a fun one, with lots of new materiel that went very well, which is always great to see. I just love that this show exists. The next one's not until January, but definitely check it out. It's a really nice and rare thing to get to see these kinds of long sets, all on one show around LA.